There are plenty of party printables floating around on the internet, but sometimes it can be hard to find the free ones. Since everyone is enjoying the printable Pokémon Party invitations I made for Evan’s party, I thought I would create a post to share lots of great Pokemon party printables in one place. From printable Pokémon invitations to decor, I’ve gotcha covered with this list. The best part? All of these printables are free! To make it easy for you, I’ve organized this list into five categories: invitations, decorations, food labels, games/activities, and other. Enjoy! 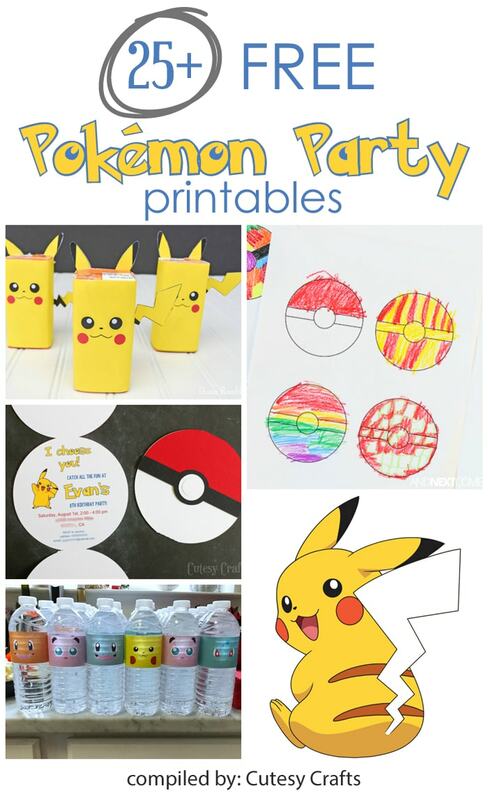 Hope you found the Pokemon party printables that you need. Let me know if you have any others that I can add. 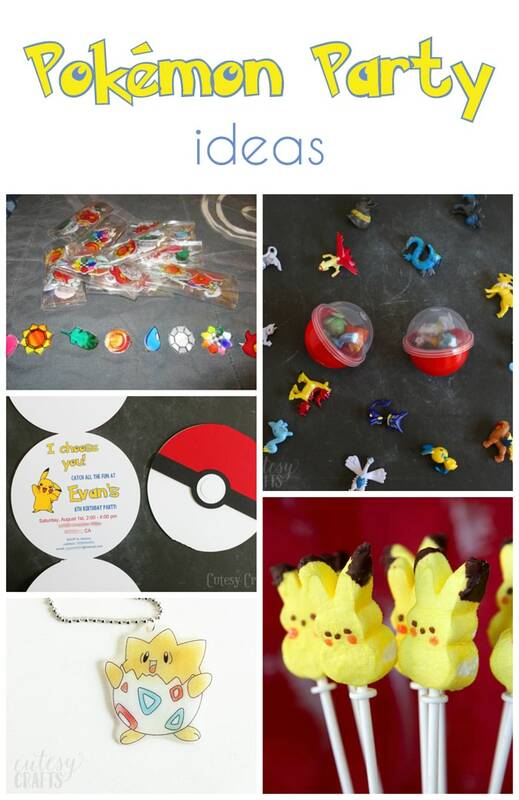 Also make sure you check out these other Pokemon Party Ideas. These are adorable. My boys are really into the Pokemon Go app and Pokemon hunting. This would be right up their alley! Thanks Sue! My kids played that a little. I wish it didn’t use so much data. They loved it too! This is absolutely adorable!! However, the download is only in PDF, meaning when you want to add your kiddos info, you can only do so in the basic font, not the fun Pokemon font. Do you have this available in any other format? Do you have a Silhouette cutting machine? I saved the file in that format too. If not, I think I can rig the file so you can use photoshop to edit it. Let me know if you want it that way, and I’ll see what I can do. I don’t. If there is way to get it to a photoshop file I’d love that!! Okay, finally got it done. I’ll send it to you.